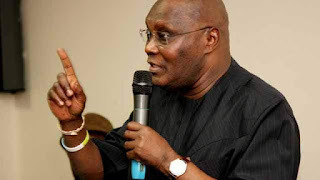 Atiku Abubakar, candidate of the Peoples Democratic Party (PDP), says if he emerges president in 2019, he does not mind giving oil-producing states all the revenue from crude oil. Abubakar said this while responding to questions on restructuring in an interview with The Africa Report. He, however, said he would tax the states to maintain the federal government. Asked he was in favour of states having control of their resources, Abubakar said “for now, it’s not advisable at this stage of our development”. “That will depend on negotiations between them and other parts of Nigeria. But I know they can get more because in the First Republic the regions had 50/50. I don’t mind giving even 100% […], but I would tax those states to maintain the federal government,” Abubakar said. Speaking on how he would tackle the number of out of school children, Abubakar said he would make education compulsory. “There is no will on the part of the Nigerian government, at federal and state level, to see that the standard of education is improving. We introduced free primary in 2004. We omitted to provide penalties for state governments that did not meet [those demands],” he said. “If I had the opportunity again, I would introduce a penalty clause, to make it not only compulsory, but if you don’t meet the target then you are penalised. On the insecurity crisis in the country, Abubakar said he knows how Boko Haram came to be and how to curb their activities. He also proposed the building of grazing reserves in each state to curb farmers and herders crisis. “I happen to know how Boko Haram came into being. They were offshoots of political thuggery. Politicians used those boys in Boko Haram to win elections and then abandoned them and then there were no jobs for them. It was the same thing with the Niger Delta. In 1998, I saw it myself and I warned people,” he said. “It’s going to be a multifaceted approach. It will involve negotiations. It will involve military action. “In each province in the north, we used to have a grazing reserve. During the season, the cattle are in the reserves. When it is off-season, when farmers would have cultivated all their crops, then the cattle move out to the areas where the farmers have cultivated, allowing the grass in the grazing reserves to grow. These grazing reserves have been abandoned over the years.